As I was browsing my "eats" Pinterest board last night, searching for a dinner recipe, I realized how invaluable Pinterest has been to me in terms of finding and organizing recipes. Any time I'm meal planning, trying to decide what to make for dinner, or looking for recipe inspiration; I turn to Pinterest. I used to love sitting down with my favorite cookbooks and magazines on weekends, earmarking recipes I wanted to try. But these days, I simply turn to Pinterest to find what I'm looking for. While I do still enjoy reading my Cooking Light, and referring to my favorite cookbooks for old favorites, for the most part I rely on Pinterest and other bloggers for recipes. I think this is largely due to the fact I want to see a picture of the dish before I commit to making it. Does anyone else feel this way? Or am I the only one that has set down the cookbooks and gone digital? 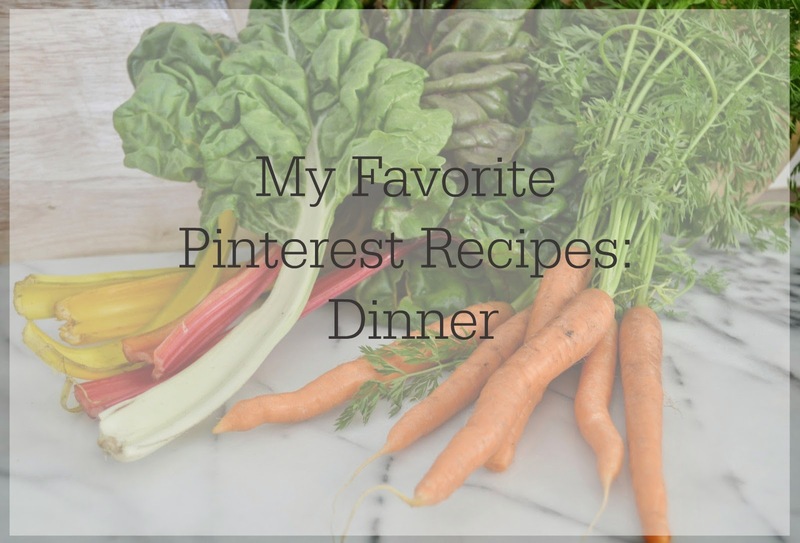 I thought it would be fun to do a post and share a few of my favorite recipes I've found on Pinterest, as well as the bloggers behind them. These are all recipes we continue to make time and time again at our house. I hope some of these are new to you as well, enjoy! My absolute favorite, Half Baked Harvest! I love all of her recipes, and I like to pretend we're friends in real life! Every recipe I've tried has been amazing. She is simply the cutest and I'm waiting for the day she announces a cookbook! Not only does she create delicious recipes, but her photographs are inspiring, and somehow she is able to share both wonderful stories and recipes simultaneously. I urge you to check out her blog if you don't already follow, and please make these tacos! They're incredible. It's become my go-to entertaining dish because it's unique and always a crowd-pleaser! I even did a little prep work before our trip to Yosemite last month so we could eat them one night while camping. 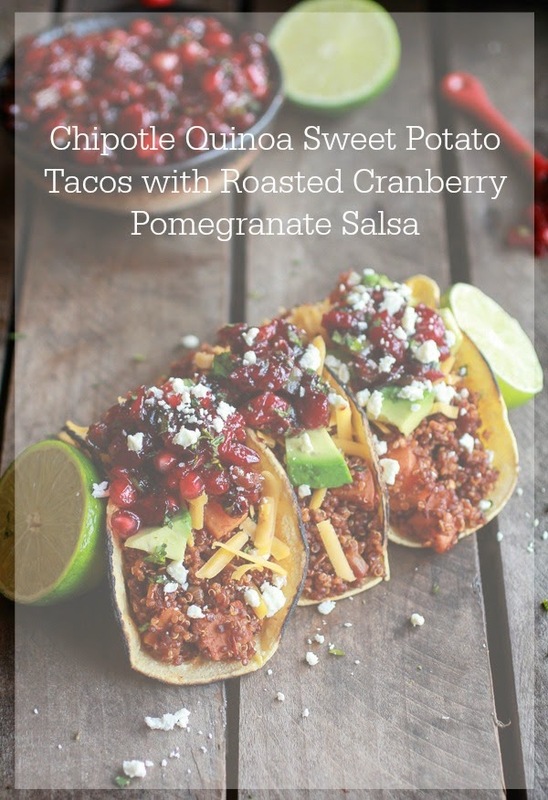 I recently stumbled across this pin while looking for a semi-healthy Mexican inspired dinner. We made a few slight modifications to the recipe, and it did not disappoint! First, we baked the chicken with fajita seasoning and lime, then shredded it to add to the casserole. We also used more chicken then the recipe called for, decreased the amount of enchilada sauce, and added jalapenos for extra spice! This is definitely something we'll continue to make during the week because it comes together quickly and easily. Plus, since there are only two of us, there are plenty of leftovers to take for lunch and/or dinner the follow day. 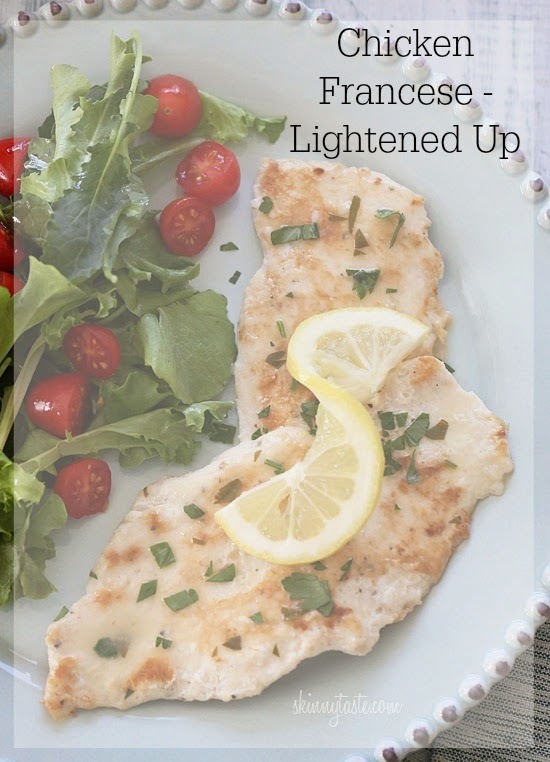 We serve it with green salad for a simple, healthy weeknight dinner. We were making this dish for dinner so often during the week, we had to take a little break from it ;-) But it's back in the rotation because it's the easiest weeknight dinner, EVER. You simply toss everything in a baking dish,throw it in the oven, bake and enjoy! We modify the recipe a by using Brussels sprouts instead of green beans, and a lot less oil. Another great resource for delicious, healthy recipes. We make this chicken with my cauliflower mash and another vegetable for a simple dinner that tastes like it requires a lot more effort than it actually does. Since Andrew isn't a huge mustard fan, we usually don't use the full 2 tablespoons, but otherwise we follow the recipe exactly. Typically we use IPA because that's what we have at the house, but I'm sure any beer would work. 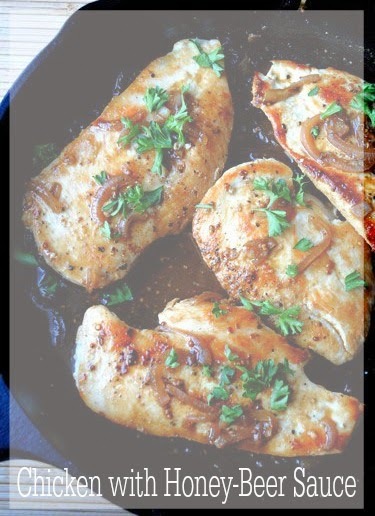 I love the way the shallots caramelize and the sauce thickens to create a glaze on the chicken, yummmm! I'm sure you've all heard of Eat Yourself Skinny! Kelly is the cutest little Southern Belle with incredible, and healthy recipes! 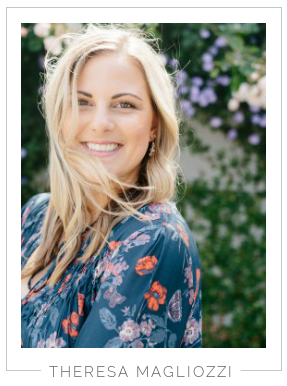 Lately, she's been busy planning her upcoming wedding, but there are plenty of old recipes on her site to keep your mouth watering! Plus a bunch of cute wedding DIY ideas on her Instagram! Hers is one of the first food blogs I started following years ago, and her recipes never disappoint! 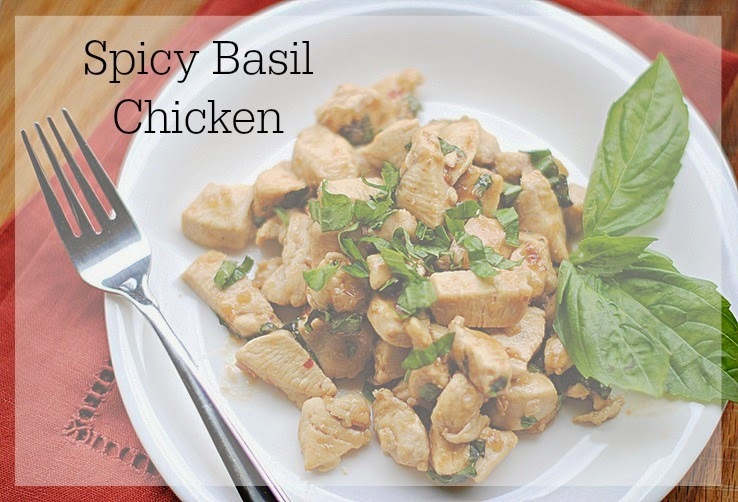 This basil chicken is so simple, and comes together in just a few minutes. It's the perfect dinner on busy weeknights. I can't get enough fresh basil during the summer months, so I try to make this as much as possible! It's so fresh and flavorful, you'll love it, promise! This is another one we paired with mashed cauliflower and veggies. But it would be great with brown rice as well! Follow me on Pinterest for many more delicious meal ideas! And here are a few of my recipes that I've shared on the blog. We cook a ton of Skinny Taste around here! Oh my goodness, these all look so good! 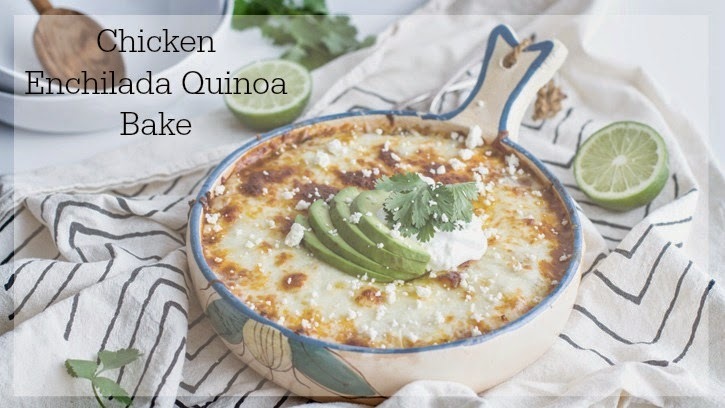 Oh my gosh, I'm actually making that chicken enchilada quinoa bake tomorrow! I'm happy to hear that it's a yummy recipe! 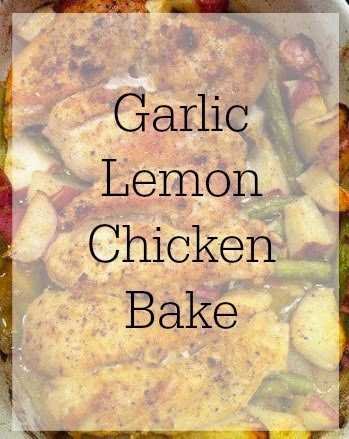 And I'll definitely be adding all four of those chicken recipes to my Pinterest board! These all look so good!! I have been trying to cook more, and will have to try some of these out for sure!